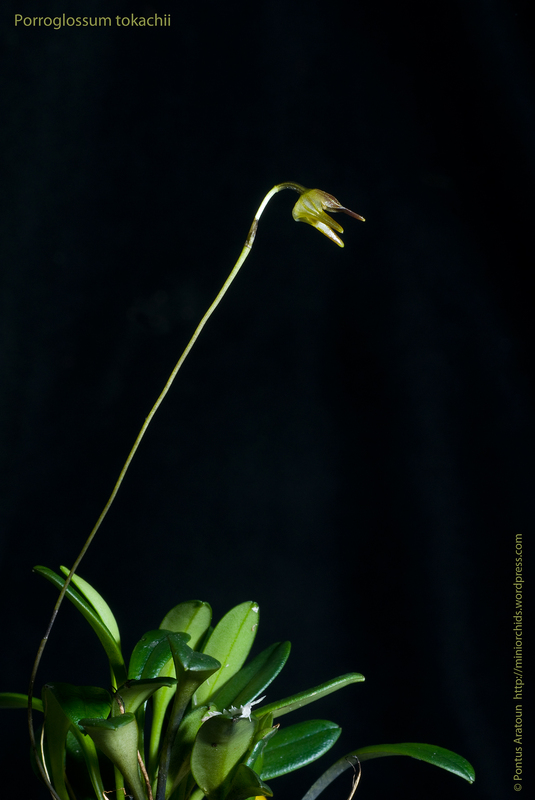 Got the name Porroglossum tokachi on the lable. 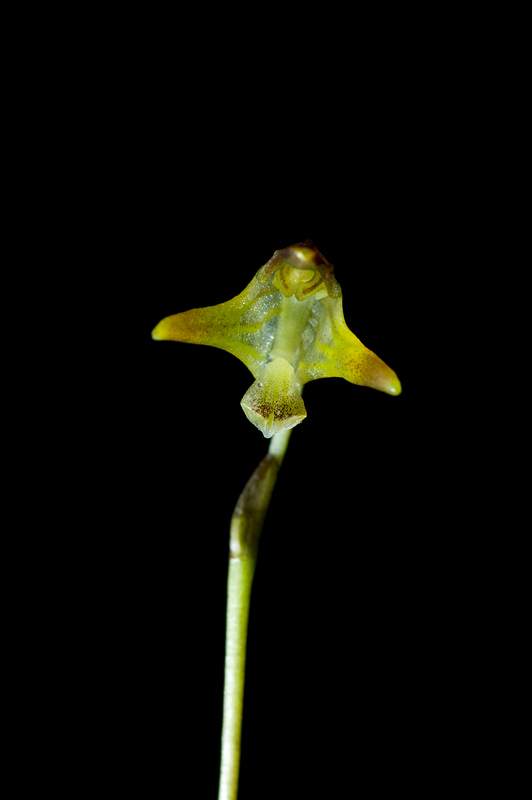 But after a short discussion with Alfonso D and seeing pictures of Porroglossum miguelangelii it looks like this plant IS Porroglossum miguelangelii. 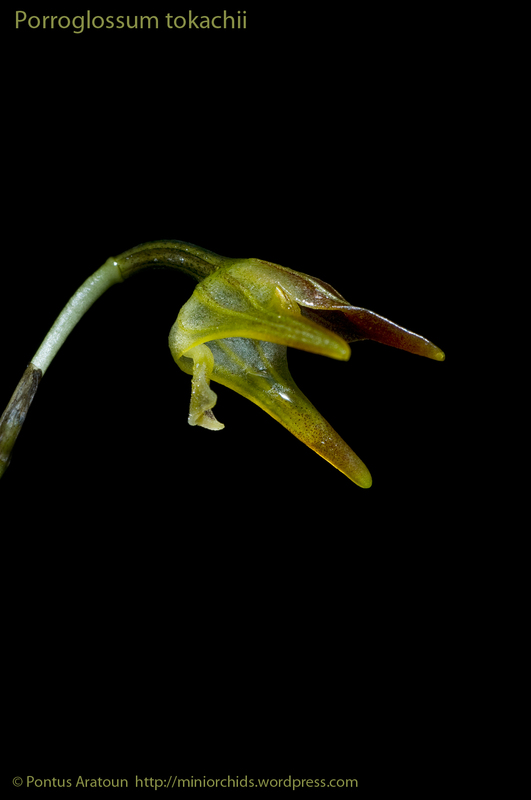 This is a new species discribed by G.Merino, A.Doucette & Pupulin this year, 2010. The species was found in 1993 by Hugo Medina. 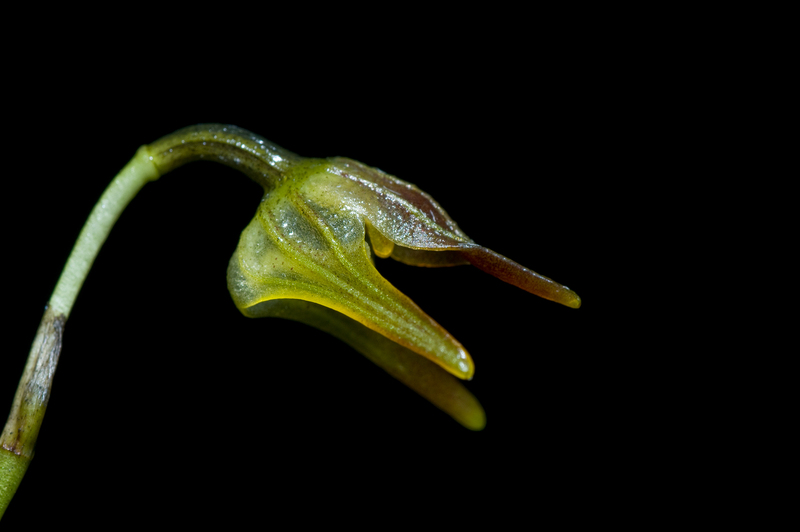 The plant was found in Zamora Chinchipe/Ecuador at about 1800 meters. Have had this for a while and it have been hard to get it to flower. When I moved the plant 15 cm from the fogmachin…then things happend! So now it grows in mist! Max temp +22°C min Tem now in summer +13°C tp +15°C. It grows on Xaxim and the roots grows very fast and the plant is very healthy. Wonderful website – really appreciate your descriptions of different species. Have added your blog to my list of sites I follow. Thanks very much. Great to finally see the flowers!! Great photos too. That is not Porroglossum tokachii. I’am the person who discovered it between Moyobamba and Pomacochas Peru. It is a very nice plant.